Ruth Marie Wall, age 89, of Jasper, passed away Saturday, March 2, 2019 at Pruitt Health Care in Jasper. 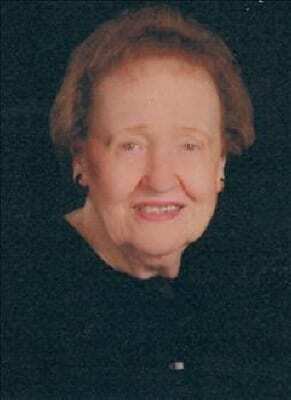 She was born September 7, 1929 to George and Flora Masten in Elkin, North Carolina. Ruth taught English and Latin in North Carolina for 36 years. Following the death of her husband Allan in 1991, she made Jasper her home. Ruth soon became active with numerous community organizations, among them Mountainside Hospital Auxiliary, Retired Teachers, and the Historical Society. She was recognized as Pickens County Chamber of Commerce Citizen of the Year in 2013, for which she was immensely proud. She is survived by her daughter and son-in-law, Alanna and Roy Kulland of Spring, Texas; granddaughter, Kirsten Kulland of Austin, Texas; grandson, Gage and Brittany Kulland of Spokane, Washington; great-granddaughters, Georgiana Kulland and Josephine Kulland. She was preceded in death by her husband, Allan Wall and her parents, George and Flora Masten. A Memorial Service will be held 11:00 a.m., Friday, March 8, 2019 at Fellowship Presbyterian Church of Jasper with Ben Laughlin officiating. In lieu of flowers, please consider donating to the Mountainside Cardiac Center or St. Jude Children’s Hospital.